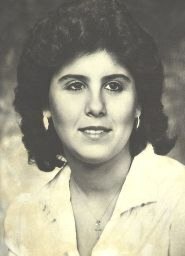 Facts of the Crime: On September 1, 1986, Cooey and an accomplice, Clint Dickens, murdered 21-year-old Wendy Offredo and 20-year-old Dawn McCreery in a wooded area in Norton. Ms. Offredo and Ms. McCreery were forced to stop their car on I-77 after Cooey dropped a chunk of concrete onto the car from an overpass. Cooey and Dickens took Ms. Offredo and Ms. McCreery into the woods, raped them, robbed them, beat them with a nightstick, and strangled them with shoelaces. Cooey later bragged to friends about the murders. Dawn McCreery, 20, and Wendy Offredo, 21, were University of Akron sorority sisters who were leaving their jobs as waitresses when 17-year-old Clint Dickens threw a chunk of concrete off an I-77 overpass, striking the windshield of the car that Ms. Offredo was driving. Cooey, who was 19 and on leave from the U.S. Army, was hanging out with a longtime friend, Kenny Horonetz, and Dickens. The three got into a car and offered the two women help. The five drove to a shopping mall and Ms. Offredo used a pay phone to call her mother. "I'm game if you're game," Cooey said as Dickens suggested they rob the two women. Cooey pulled a knife on the women when they realized they were not being driven back to their car. Horonetz demanded to be let out of the car after Cooey told him to tie Ms. McCreery's hands. Driving to a wooded area in nearby Norton, Dickens and Cooey both raped the two girls. Dickens then suggested the women should be killed because they knew his name, records show. Dickens grabbed Ms. Offredo in a chokehold, and Cooey used a shoelace to strangle her as Dickens strangled Ms. McCreery with his other shoelace. Cooey beat both women with a club. Dickens was sentenced to life in prison for the crimes, in which both girls suffered through more than three hours of torture. Richard Wade Cooey was executed at 10:28 this morning for the murders of two University of Akron students 22 years ago. Cooey paced for much of the night, sleeping for less than 90 minutes and turning down breakfast as his execution drew near. Cooey's attorneys arrived at the prison this morning, but a spokeswoman for the Ohio Public Defender's Office last night said that he appeared out of appeal options. 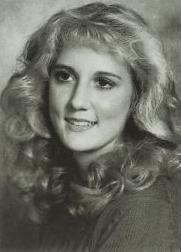 Cooey, 41, formerly of Akron, was sentenced to die in 1986 for the murders of Wendy Offredo and Dawn McCreery, two UA juniors. He was within 12 hours of being executed in 2003 before a judge granted him a stay. Prison spokeswoman Andrea Carson told reporters this morning that Cooey was quiet overnight inside the death house at the Southern Ohio Correctional Facility near Lucasville. He finished his last meal around midnight, appeared sleepless, and paced his cell. Around 4:06 a.m., he fell asleep only to awaken at 5:20 a.m. He showered and is visiting now with his attorneys. About 9:50 a.m., Warden Phillip Kerns approached Cooey and read the state's death warrant. Cooey was then fitted with shunts in each arm that were used to transfer the lethal drugs into his system.